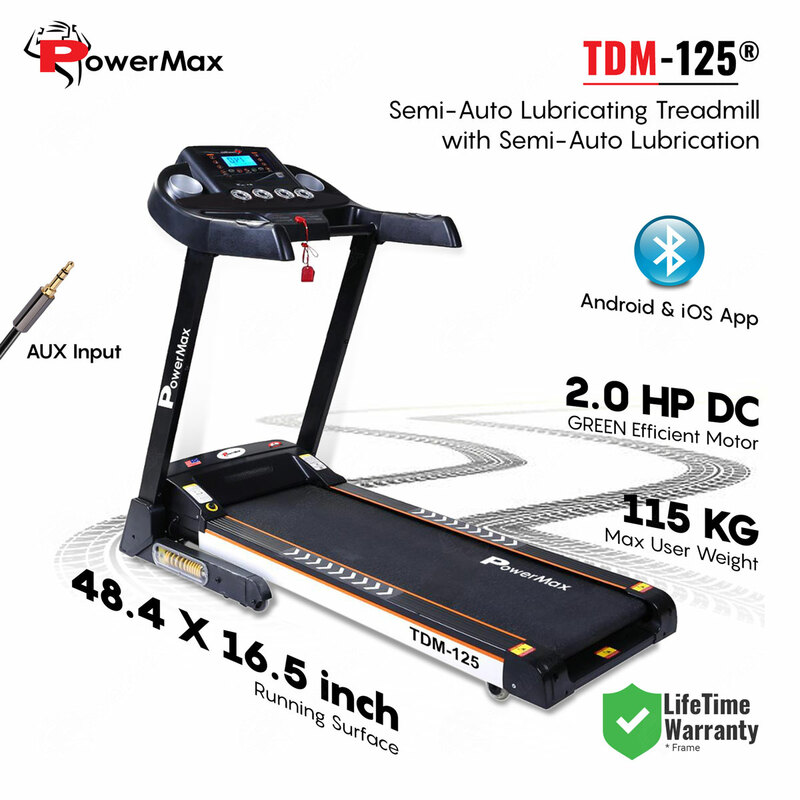 The Powermax Fitness TDM-125 Semi-Auto Lubricating Treadmill with Android & iOS App has all the unique features and beneficial to stay fit and fine every day. 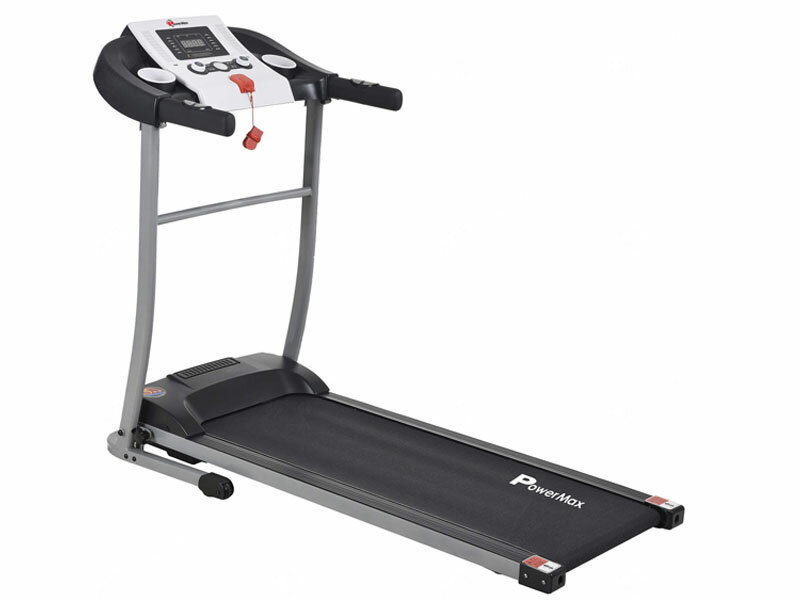 The treadmill offers wide range of running surface of 1230 x 420mm to run with ease and comfortably. 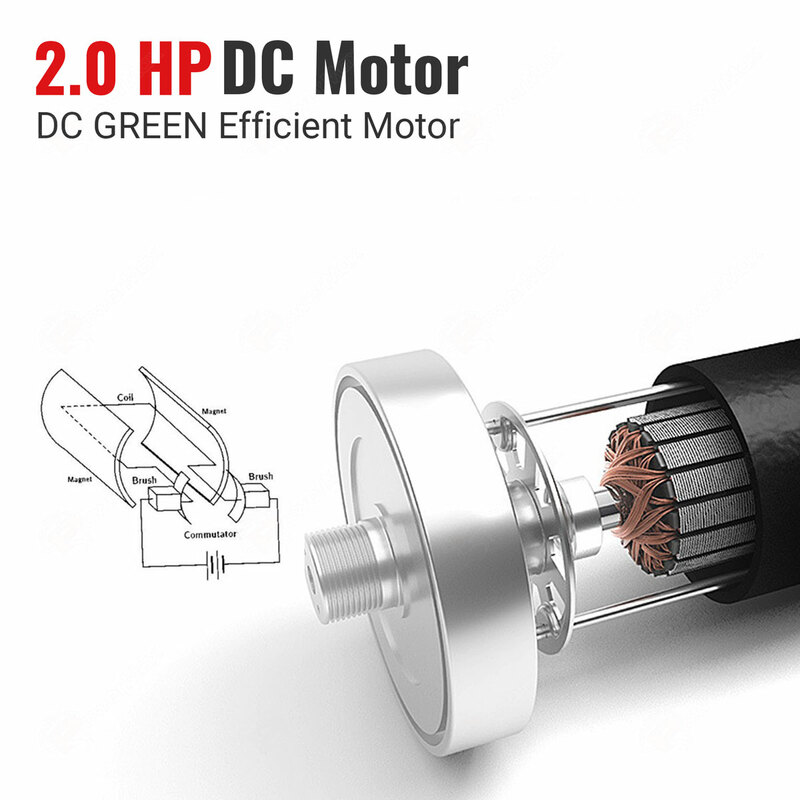 It also has 2.0 HP DC Green efficient motor and gives speed up to 14km per hour. 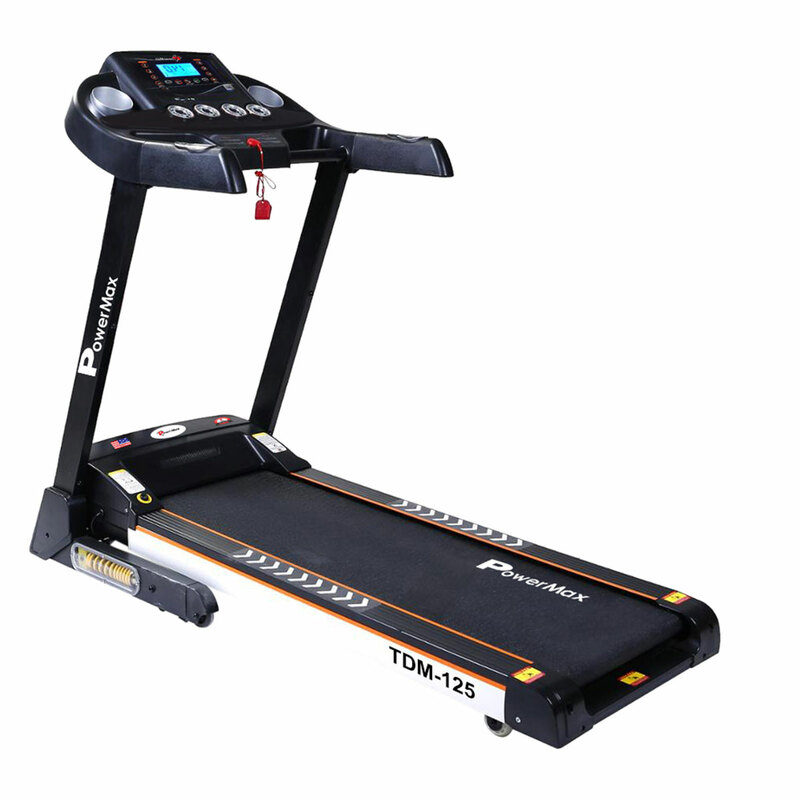 TDM-125 Treadmill’s precision-machined, steel crowned rollers keep the belt in center and runs smoothly to reduce noise and workout in peace without any disturbance. 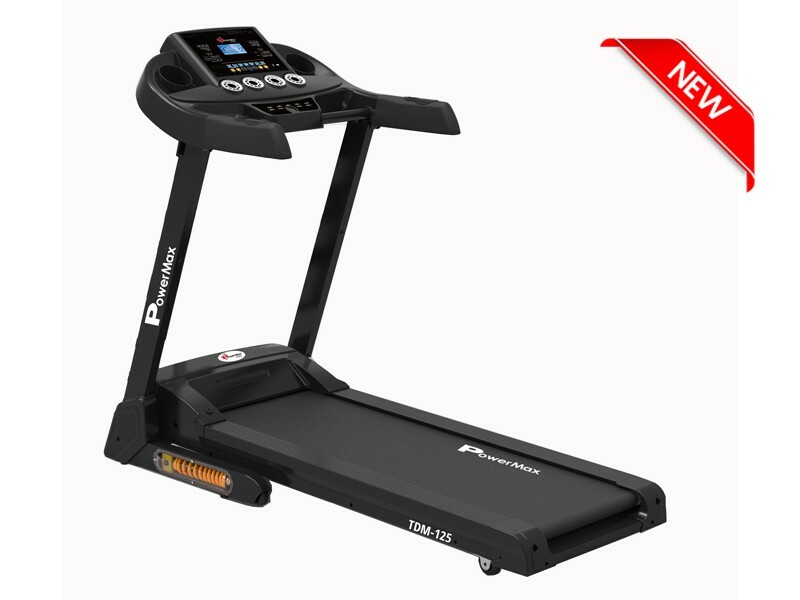 The Powermax Fitness TDM-125 Semi-Auto Lubricating Treadmill with Android & iOS App has all the unique features and beneficial to stay fit and fine every day. 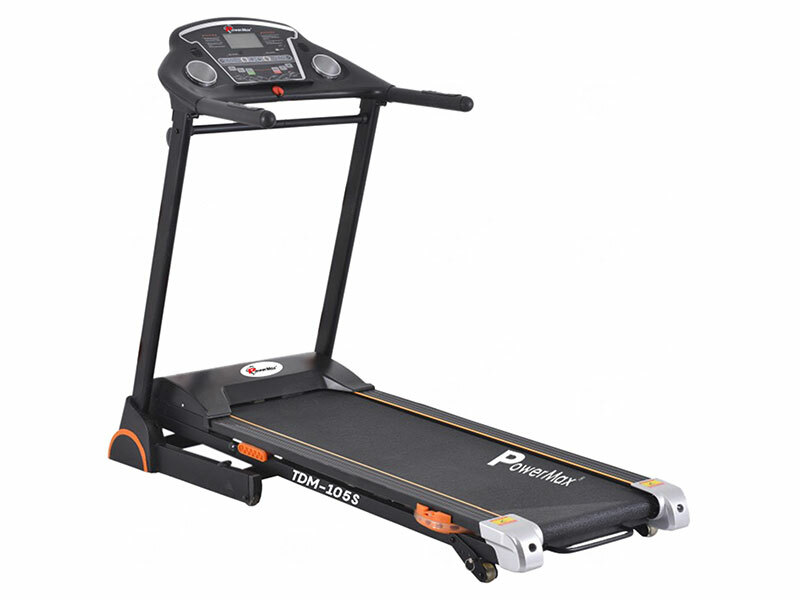 The treadmill offers wide range of running surface of 1230 x 420mm to run with ease and comfortably. It also has 2.0 HP DC Green efficient motor and gives speed up to 14km per hour. 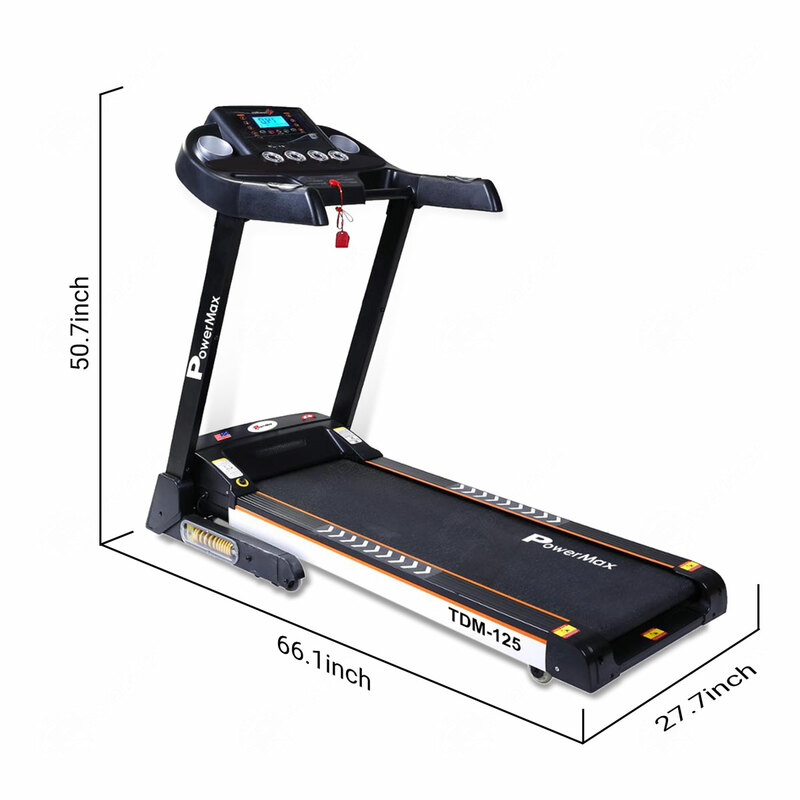 TDM-125 Treadmill’s precision-machined, steel crowned rollers keep the belt in center and runs smoothly to reduce noise and workout in peace without any disturbance. 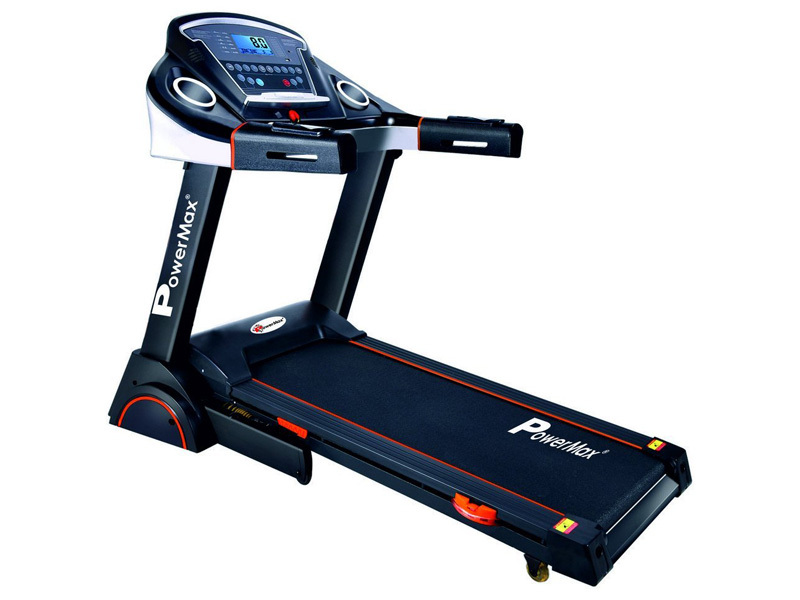 The running belt of the treadmill has multi-ply urethane coated with high conducted polyester satin weave with a PVC non-slip surface of 1.8mm thickness. The Dual Spring Shock Absorption System provides the perfect amount of cushioning by reducing the shock that comes along the front of the deck as they are precisely engineered shock absorbers. 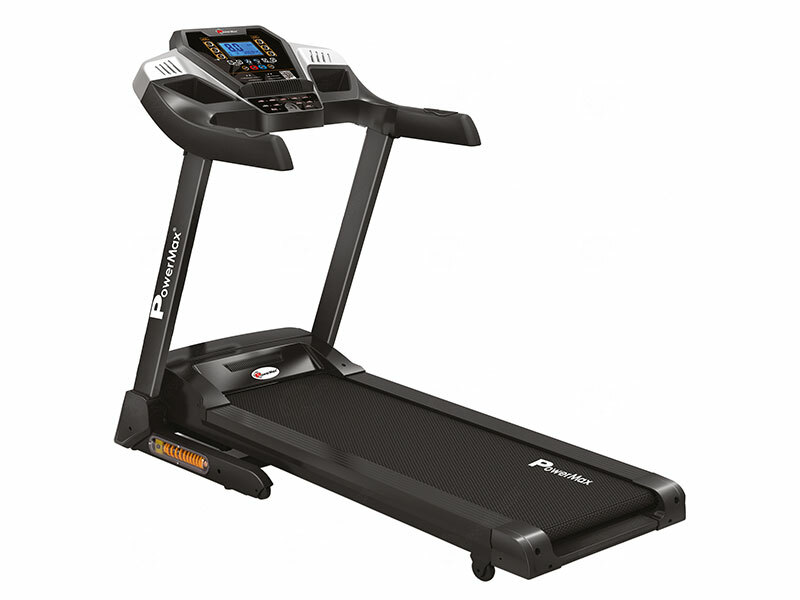 While the Double Layer Running Board reduces stress on knees, ankles and hips by instantaneously adjusting the belt speed to match the slowing and accelerating natural movement of the foot as you run or walk. 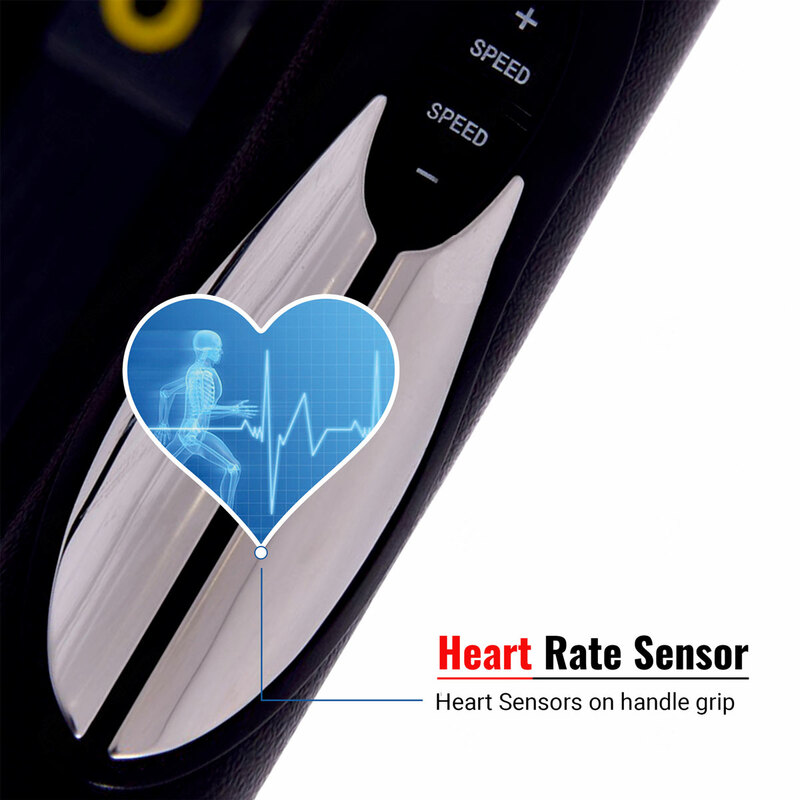 One can also measure Heart rate by placing hand on side rail handle and the 5.5’’ LCD Display also shows the time, pulse, incline, speed, distance, calories, BMI and Body Fat. The BMI/Body fat is calculated to check whether you are fat or healthy. 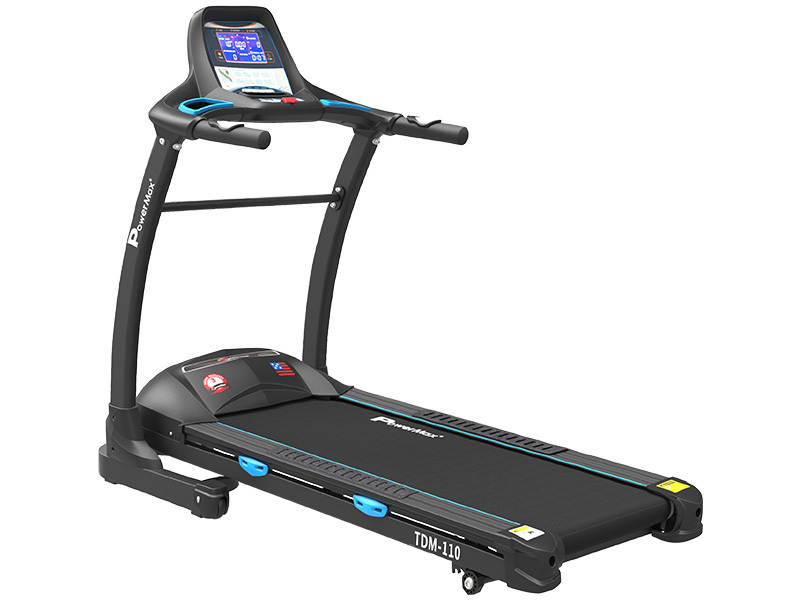 A fitness routine should not just be ended at the gym, bring fitness to your home with the new TDM-125 Semi-auto Lubricating Treadmill. A mean machine is giving you all the details you need about your health BMI, Pulse rate and Heart Beat rate while you are working out. 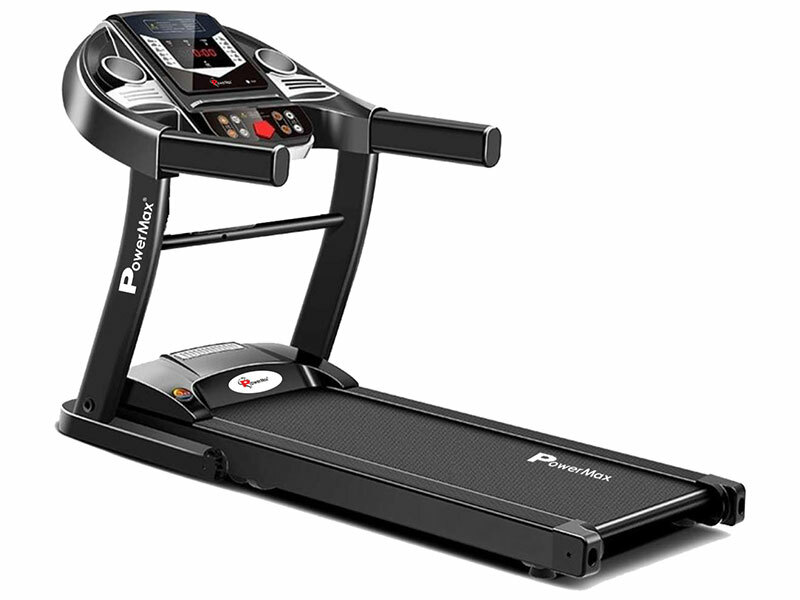 Our mean machine is designed to take a weight up to 115 kgs while walking and running. Built with 5.5-inch display displays all information like Time, Distance, Calories, Speed, Pulse and Incline. In simpler words. All that you need to make your workout successful. 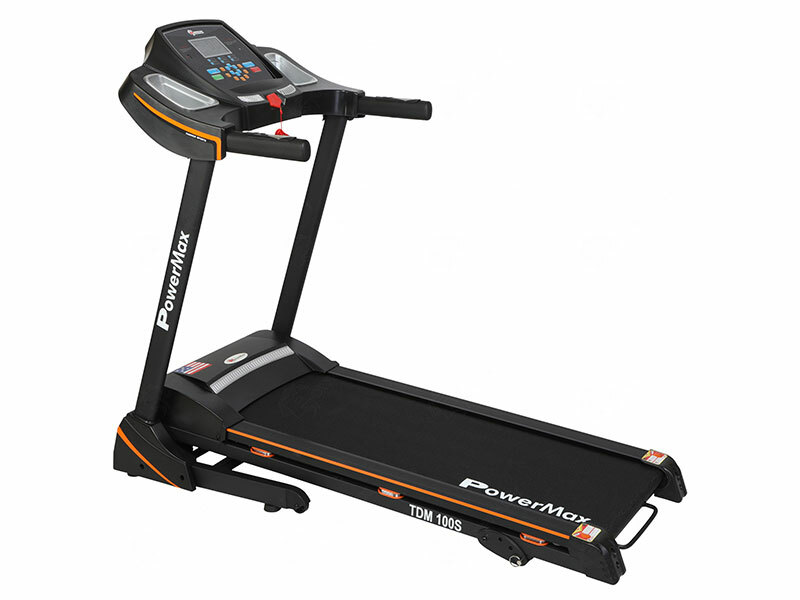 The TDM-125 has a large 49.6”x 16.9” running deck, which promises a comfortable indoor running experience. The 1.8 mm multi-layered running belt offering wear resistance, sound insulation, shock layer, avoidance layer and compression layer to the users. All this makes sure you are safe while taking your daily run. While the Multi-Ply polyester satin weave running belt and the Cast Steel Resistance system used offers a shockproof experience. And even ensures, you don’t have too much toll on your joints. 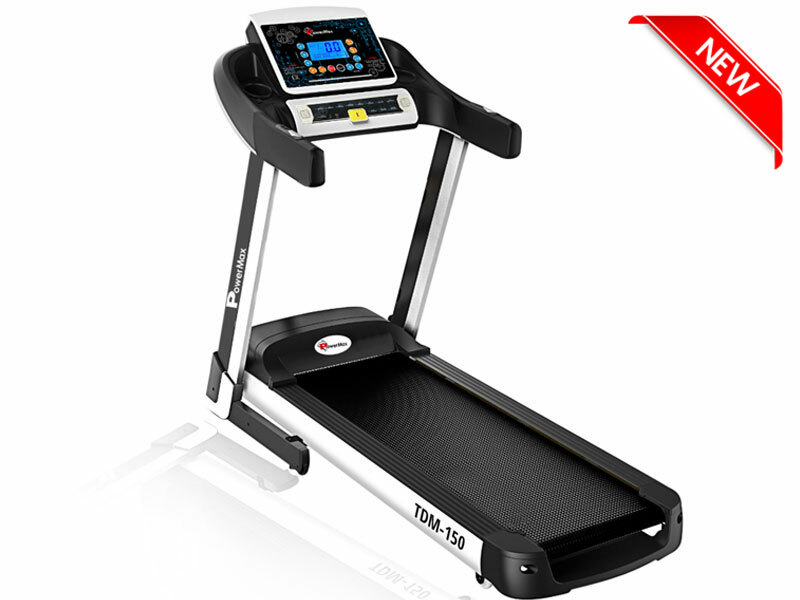 The 2.0 HP Motor and a speed capacity of 14 km/h, the TDM-125 Semi-auto Lubricating Treadmill challenge you to a strenuous workout. 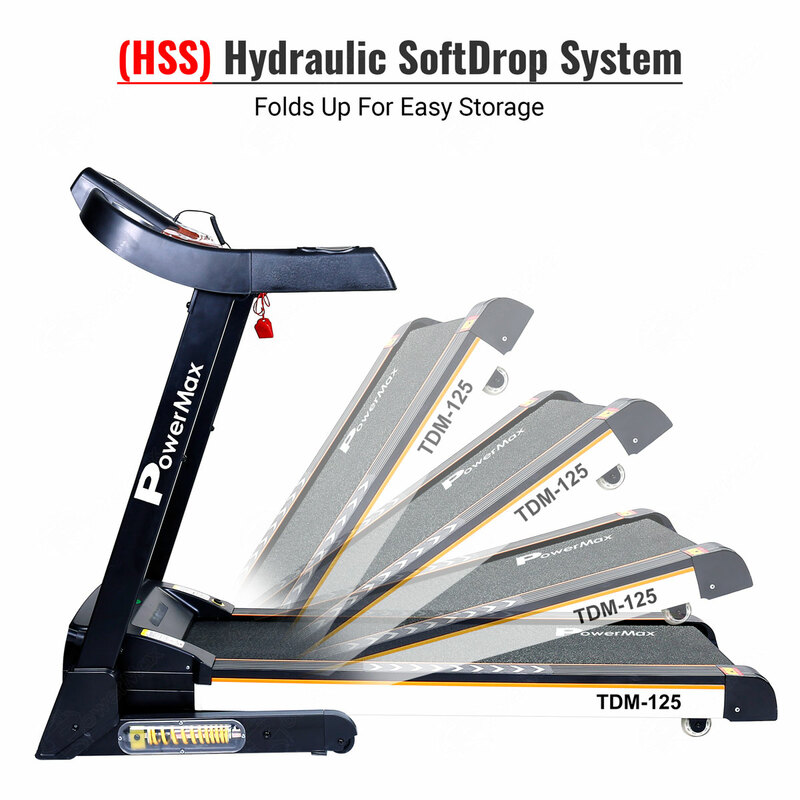 TDM-125 Semi-auto Lubricating Treadmill with Android & iOS App offers a challenging experience for different workout needs. 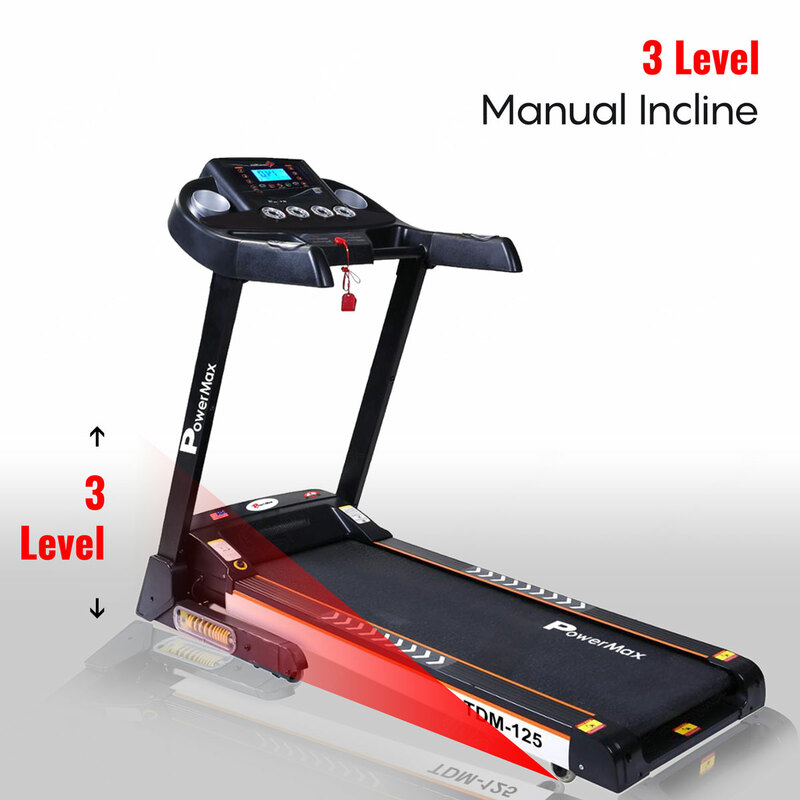 The three-level manual incline increases the exercise efficiency to provide better results in a shorter period of time. Also, it has twelve pre-configured workouts set up at a different speed and skill levels to test your fitness gauge. The BMI calculator added to the machine is specifically designed to tell you areas where you need to work out more. It keeps track of your body condition and shows target modes based on your needs. If you wish to be consistent with your run every day, then the smart run function helps you to pick up the last mode used, just with a single click. Built with an internal Hi-Fi speaker, AUX and USB options keep you charged up with good music during a workout. 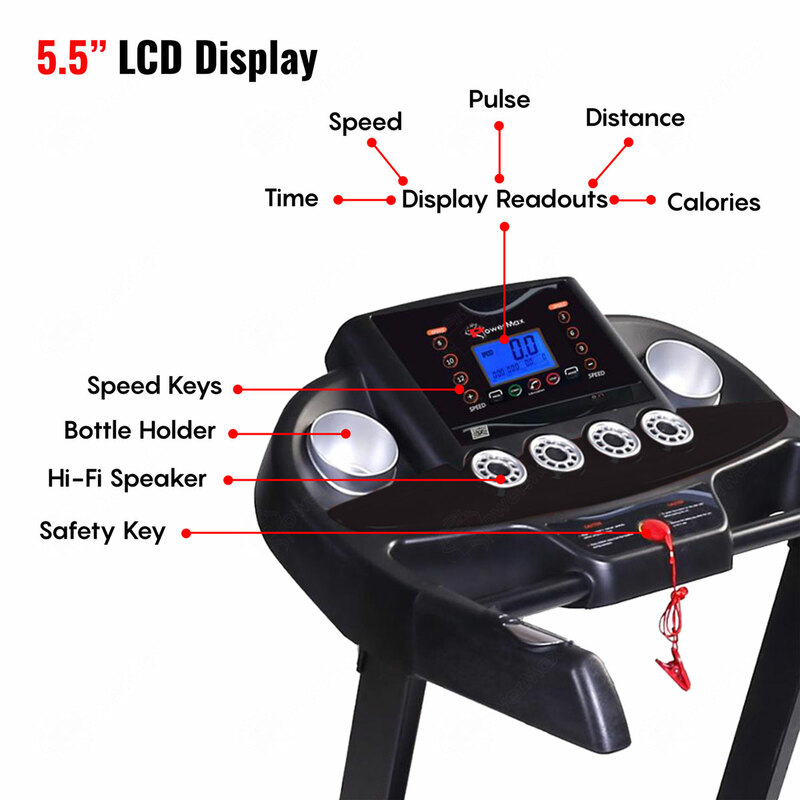 With mobile always by your side, this treadmill gives you an excellent opportunity to keep track of your activity by using the Android and iOS. The iOS and Android app clearly displays your fitness vitals and statistics to let you decide your pace. 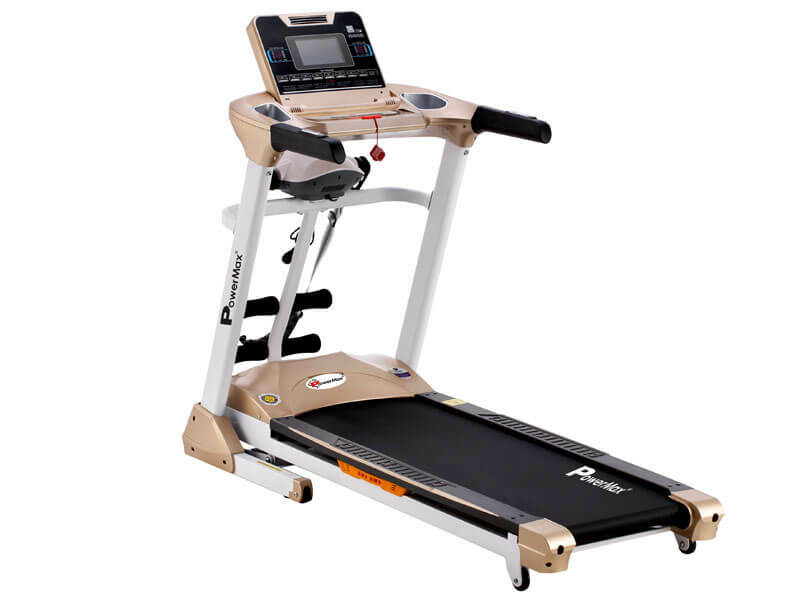 The treadmill is an excellent addition as it comes with transportation wheels and a Semi-auto Lubrication system, which makes it easy to maintain at home. And what is best about the entire product is that it is easy to install. You worry too much about the quality and service. Our product comes with a 1-year warranty on parts, 3-year warranties on the motor and lifetime warranty on other parts. If you still wish to know more about this product get in touch with us at +91-8080-269-269. We will clarify your doubts. Shock Absorption / Cushioning Dual spring shock absorption system with ComfortTech™ - 6 point commercial grade damping system to reduce stress on your joints. 1-year parts warranty, 3 years motor replacement warranty. Lifetime frame warranty.